The fourth annual fundraiser on behalf of Aspire Indiana’s child advocacy center, Kids Talk, was a great success. Thanks to the generous contributions of sponsors and attendees of the event, Kids Talk raised a total of $42,000 dollars which goes directly to the child advocacy center. Jamerson had two great competitors go onstage as well that night, Scott Underwood, Editor of the Anderson Herald Bulletin and JB Shelton, owner of the Detour Salon. KidsTalk is very grateful to their headline sponsors, St.Vincent Anderson Regional Hospital and Community Hospital Anderson for their support and contributions to make the Stand Up for Kids event happen. Aspire Indiana Health is pleased to announce that it has now officially opened its 6th of 7 locations of its Federally Qualified Health Centers (FQHC). A ribbon-cutting ceremony took place September 6, 2018, at the Aspire Indiana Health location on Cumberland Road in Noblesville. As an FQHC, providers at each location offer integrated primary and behavioral health services to better address the needs of individuals. This type of healthcare, looking at the whole person, can prevent serious health conditions from occurring. The Aspire Indiana Consumer Advisory Council was delighted to present their third art show, Celebrating the Artist. Several pieces were selected and are now on display at the Noblesville Outpatient Office. Amy Graham, CAC Chairperson stated "The Consumer Advisory Committee has the goals of advocating for and empowering the Aspire consumer. From this project we hoped that two goals would be achieved: first, people will be reminded, no one is their label. This painting was not painted by a depressed person. This painting was painted by an artist who happens to have depression. We want to battle the stigma and in this battle words count. Second, we hope the consumer looks at the art and is inspired to find their own artist in his or her own shape!" Our September 2018 Spotlight Employee is Emad Abdelmesih. 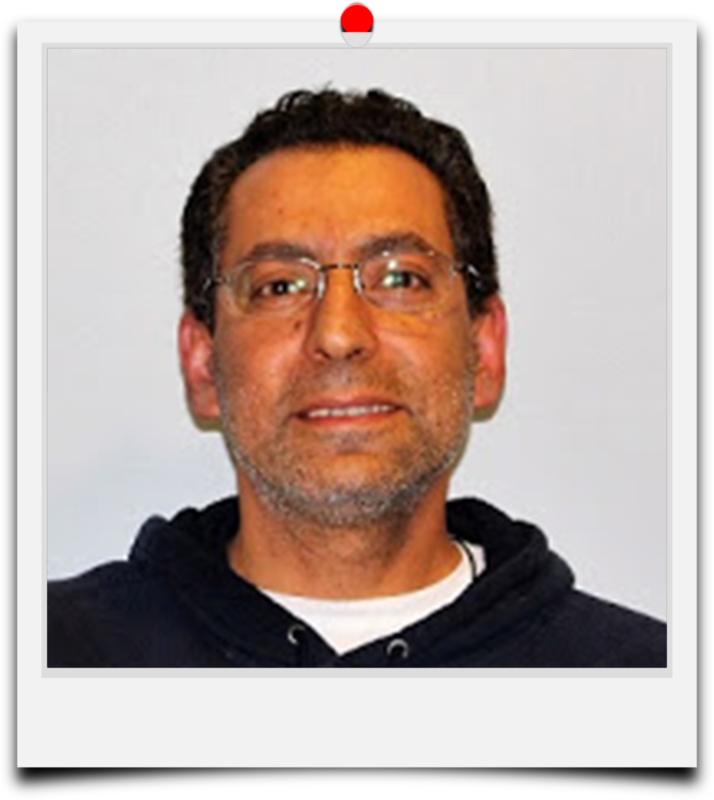 Emad works in the Aspire Carmel office in his role as a life skills instructor in our home and community-based services. Emad was born and raised in Alexandria, Egypt. He moved to the United States when he was twenty and worked in a grocery store starting as a stock person who worked his way up to become a business partner. No wonder he is such an amazing employee at Aspire! Emad puts his heart and mind into the roles he has taken on in his life. He has owned his own business and put himself through college initially in accounting, but later he chose psychology because he, “always liked to help others and enjoys being a part of people’s life to help them make positive changes.” Before he came to Indiana, Emad had worked at United Cerebral Palsy as a supervisor for several group homes, and after that, he moved to Jersey City Medical Center in a cluster home setting. When he moved to Indiana, Emad had jobs at Wishard and at LaRue Carter hospital, but then, in 2015, he found the job he now has at Aspire. Emad said he feels very supported by his managers and co-workers. He expressed his philosophy of care as one where he tries to see the world from the perspective of the people with whom he works. He said he “might be the only person that a client trusts” and because of that he feels his work is special and rewarding. He works to with people to reach their own goals at their own pace and he likes to engage them in social activities so that he and his client will build a good, respectful relationship. The part of his work that is most difficult is when he sees the hurt that some clients experience because of what they have lost. Emad knows though, that sometimes if he can take someone to have a treat where that person has time to think about the good times they have had in life, their smiles make Emad feel as if his whole day has been made worthwhile. All of us at Aspire want to thank you for your hard work and dedication, Emad. Your experiences here at Aspire are what make us all feel worthwhile! Way To Go! for outstanding work. Watch for information about dates, times and locations of the Health and Benefits Fair being held in November.